J Dilla | .Evolving Music. Illa J, the younger brother of hip-hop legend J Dilla, has stepped out on his own into the world of music with last week’s release of his debut album on Delicious Vinyl, Yancey Boys. I had a chance to catch up with Illa J last week and discuss his musical influences, working with Delicious Vinyl, making a recording studio from J Dilla’s equipment, and the importance of originality in music. Here’s what he had to say. AC: What were you initial musical influences and where do you find most of the inspiration for your work? IJ: Growing up, the first music I ever listened to was jazz. My Dad would always be playing the Manhattan Transfers and the Four Freshmen, so I got into it early. My early influences were Al Green, Marvin Gaye, Sam Cooke, Stevie Wonder and a lot of Soul early on. AC: Is it true your parents were in a jazz a cappella group? IJ: Yea, they had their own group. They used to practice in our living room at home for hours and hours, and that’s how I got my musical ear, because they sang so much I had no choice but to learn all the jazz chords. AC: Talk about growing up the younger brother of one of hip-hop’s most well known producers. How did this hurt you and how did it help you? IJ: I don’t think it hurt me in anyway. If anything, people because of that, the first thing they want to do is compare me to my brother. Honestly, I don’t even think about that. When I’m in the studio, I’m in the zone, it’s all about the music. At the end of the day, I was brought up around nothing but music and that’s in my blood lines. In my immediate family, pretty much everyone sings and everybody writes songs and are musicians, so it’s pretty normal in my household that someone can sing or play an instrument. So it’s really no pressure to me, I’m just doing my thing, having fun. AC: So when did you first start formally performing in front of audiences and when did you actually make the decision that music was going to be your career? IJ: I always knew from a young age that I was going to do music. I’d be in front of the TV, a video or something would be on and I’d act like I was singing, and I’d always be singing around the house. I always knew I was going to do music, I just didn’t know when. And after my brother passed, when you have a big loss like that, a lot of people when they have big losses, in a sense it gives them a whole new perspective on life. That’s what happened with me. To lose my bigger brother that soon, cause I didn’t expect to lose him at 32, that definitely changed my life from that day on. I knew before that, even midway through college, I kinda knew I was going to work in music, but after he passed, that’s when I dedicated my life to music, just do what’s in my blood, do my craft, and that’s pretty much how it started. AC: I read in another interview you did that you liked Los Angeles because people were always getting stuff done. Do you still feel that way about the city and what in your mind stands out as the brightest part about LA? IJ: Not necessarily getting things done… people get stuff done in Detroit too, but right now, Detroit is kinda crazy, especially with how the economy is. Out here, I feel that it’s a whole new city for me, and I feel a lot more relaxed. When I’m in Detroit, I feel that there’s a lot going on and so many distractions, but when I’m out here, I’m free to just stick to my craft. AC: In terms of music that you created in Detroit vs. music that you created in Los Angeles, do you feel that there’s a big difference there in terms of what you’ve done with the different atmospheres? IJ: Out here, I really got the chance to practice in the studio. Back in Detroit, at that time I didn’t have a studio, so I didn’t get the chance to be in the vocal booth to practice. I recorded a track in the studio with my brother when I was 13, but other than that I hadn’t recorded anything. When I’m in Detroit, I have a whole different mind state. In Detroit, it’s almost like walking down the street you’re watching your back every so many minutes. People can tell that I moved out here because I’m a lot more relaxed than I was in my music. When I first started recording, I was a lot more aggressive because in a sense it was like I wanted to get out. Now I’m a lot more relaxed in my music, and you can feel that I’m just letting go, not really forcing it and letting it flow in a sense. AC: I heard that you built your own studio out in LA using your brother’s equipment. Talk about that studio, what of his equipment you’ve used, and how that process has worked for you. AC: You’re signed to Delicious Vinyl which is known for producing some of the most well known hip-hop of the early ‘90s. Talk about your introduction to Mike Ross and what joining Delicious Vinyl was like for you. IJ: The first time I met Mike Ross was in ’06 and the next time I met him after that was in March ’07. Around that time is when he gave me a CD with 38 tracks on it that my brother produced from ’95 to ’98. These were tracks that he was making while he was working with Pharcyde and also just doing remix stuff, Delicious Vinyl puts out a lot of remixes. Pretty much, at that time, he told me to just pick a track from there just to see what it sounded like because he was going to try to do a compilation of various artists that worked with my brother. The next time I talked to him after that was in January of ’08. I was hitting him up cause I wrote this song and I was like, “You gotta hear this song.” At that time, I wasn’t even thinking of making an album with Delicious Vinyl, I was just gonna see if he could help me out in a sense and get out there and try to jump start my career, I just wanted him to hear the song. At that time I didn’t think I was going to do an album with him. He came over in February of ’08 and I played him the song on the Motif and he was like, “I like your voice,” and he wanted to hear some more joints, so I played him some more and he had me perform at this club a couple days after that, and it just happened to be on my brother’s birthday, February 7th, ‘08. After my performance he came up to me and was like, “You killed it, why don’t you just do the whole album?” That’s pretty much how the album started. As far as working with Delicious, it’s definitely dope. Pharcyde is one of my favorite groups, so I’m in the office looking at Pharcyde and Tone Loc and it’s funny to see my album up on the wall with them. Especially Delicious being where my brother kick started his career, it’s almost like everything came full circle. AC: You mentioned the CD that Ross gave you with all the tracks your brother did from ’95-98. What was hearing this CD for the first time like and when you heard it, did it give you a specific idea of the direction you wanted your album to go in? IJ: The first time I heard it, I had never heard the tracks before, and I really got a chance to listen to them, they really connected me back to ’95 as soon as I listened to it. It reminded me of the days that I’d sit on the stairs listening to my brother make tracks in the basement, and the sound he was making at that time. I was nine years old, so in a sense I had an instinct for what I wanted to do over them. They also have a lot of jazz chords, and that connected to me well because I was brought up on Jazz first so the minors, D7, changes, things like that I’m used to, so automatically I had a connection with the tracks and they fit my song writing style too. At the end of the day, my brother, even though he could write too, he was known more as a producer and I see myself as a singer/songwriter first before anything. AC: Let’s talk about Yancey Boys. What was your vision for this album when you started and what was the process like in working on it? IJ: For one thing, when you listen to the album, you hear the theme of time throughout the album. That’s because the original title for the album was going to be Timeless. I kinda wanted to make a timeless album, for example, so many of the old albums, Off the Wall, or Prince albums, when you listen to their stuff, it was made way back in the ‘80s and it’s still relevant today when you listen to it, you know what I mean? I didn’t want to necessarily try to make anything for the radio, cause there’s not really a single on the album, it’s an album, one complete piece of artwork. The tracks were from ’95, but I’m recording in 2008, so that connection and the fact that the music was still relevant today, that’s the tip I was going on. Mike Ross, he liked the Timeless idea, but he was like, “Yea, it’s timeless, but it’s so much more than that too,” cause he was really feeling it. When I would do shows, and my production company, to pay tribute to my brother and my family, I called it Yancey Boys. He was like, “Why don’t you call it Yancey Boys?” and it didn’t take too long to think about I was like, “Yea, that’s pretty dope.” And we went from there. AC: What I like about this album is how laid back it is. You sit back and nod to it, you never feel overwhelmed by the album. Would you say that that’s a product of your personality, or were you specifically aiming for that and you see future albums going in a different direction? IJ: Well the album is definitely laidback. One thing about this album is that when I wrote to it, as a songwriter, the music came first. So the beats and the tracks already had a laidback feel to it, and as a writer, it’s my job to let the music speak to me instead of me just writing my ideas over the beats, let the music speak to me because the tracks were already done. AC: What’s your favorite track on the album and why? IJ: My favorite track on the album is “Timeless.” On my Myspace page, I have joints on my page, but that was only stuff because I had nothing else to put up at that time, and I wasn’t going to put up my really good stuff on my page, so I just put up joints to keep stuff moving. At that time, I didn’t know if people were ready to hear where I was really going with the music because this album is really a true representation and my intro. This is truly my introduction and music that I feel represents me. “Timeless” was really an expression of me as an artist. It’s so full and the chords bring out the emotions, and that’s what I liked about it for me when I was writing it. AC: There’s 14 tracks on Yancey Boys and you said you had 38 on the CD from Ross so are we looking at more albums in your future with other songs produced by your brother? IJ: Maybe, it all depends on the track. A lot of people think that I just went off this with a lot of Dilla beats and was like, “I’ll do an album.” But I was actually working with other producers and was producing myself. I’ll only use my brother’s tracks if I feel it’s right. It’s gotta be the right track. I know that when he was in studio making tracks, even if you were in the studio with him, if he played a beat, you could like it or whatever, but it didn’t necessarily mean he was making that for you, he might just be making that for himself. I know my brother. By me doing this album, it means that I know my brother would be cool with it. AC: We talked earlier about your initial musical influences. Who in the industry today, music wise, do you look at as a true talent? IJ: Definitely Amy Winehouse. Her album, Back to Black, inspired me a lot. That album, in a sense, is timeless. You can’t really fit a particular era to it. You could play it way back in the day and it would still sound right. AC: How do you see the current scene in hip-hop, what do you think is good about it, and what in your mind needs to be changed? IJ: My main thing is pretty much when I was growing up, the artists I was looking up to, my favorite thing about artists was how unique his voice was or how unique her voice was. It’s about originality, being original. When Busta came out, it’s like nobody sounds like him, he’s got his own style. As long as it’s about being original, it should alright. At the end of the day, you can only be the best you you can be, I can only be the best Illa J, just like my brother is Dilla and he can only be Dilla, that’s him. As an artist, you can’t be afraid to be original, take a chance, and when I think I’m going super left field, at the same time, who’s to say how far you can go? IJ: I kinda wish I had been working on it when my brother was making Welcome to Detroit. Also, his work with Slum Village. AC: Anything you want to plug? Upcoming concert dates, releases? IJ: I’ve got my release party out in Cali at the Little Temple in Santa Monica. That’s November 20th. I’ll be touring soon and check out my myspace page… Myspace.com/illajmusic. The album’s out in stores, go cop it. 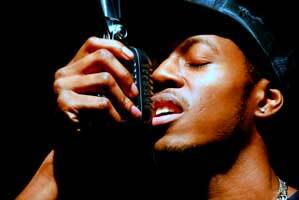 For Evolving Music’s interview with Illa J, click here. When some of the most influential hip-hop over the past 15 years has been created by your older brother, it can sometimes be hard to get out from under that shadow and create on your own. But that’s exactly what Illa J has accomplished on his recently released debut album, Yancey Boys. Active in the hip-hop scene from 1992 to his untimely death arising from medical complications in 2006, Jay Dee, also known as J Dilla, was a mastermind at production, creating music for the likes of Slum Village, Pharcyde, Busta Rhymes, Common, Madlib and Janet Jackson among others. Starting as a DIYer making beats with a tape deck, J Dilla quickly rose among the hip-hop ranks and infused the genre with the soul based inflections that have become so big today, especially in the most recent Common releases. But most overlooked about J Dilla and his career is the fact that he comes from an extremely talented and musically well educated family. It is this depth of familial music that comes out in vibrant colors on younger brother Illa J’s new release from Delicious Vinyl. Having moved to LA from Detroit and constructing a studio out of his older brother’s equipment, Illa J met Mike Ross who provided him with a CD of unused Dilla beats, which this album draws heavily from. Produced by J Dilla and the legendary Mike Ross, Yancey Boys, while brief (14 tracks, 47 minutes) is one of the most consistent hip-hop albums of the year from start to finish, and succeeds because it never tries to do too much or be more than what it is. The album starts with “Timeless,” taking lazy piano flourishes into a laid back beat with Illa meandering vocally like D’Angelo. Indeed, the neo-soul and hip-hop hybrid comes through continually on the album, producing the smooth and effortless sound that makes listening to it as easy as bobbing your head. The first single, “We Here” comes next, and immediately steps up the tempo and introduces you to Illa as a rapper. His rhymes are simple in content but complex in rhyme scheme, never sounding forced, but at the same time coming off skillfully crafted. At times however, this is a weakness in the album as it seems that the mellow melodies sometimes leave Illa feeling content and therefore failing to challenge himself to stretch for something a little harder to reach. “R U Listening” comes next with a low bass rift and a cameo appearance by Guilty Simpson. The lo-fi feel of the beat combined with the under-water sound of the melody leaves this song feeling decidedly retro without sounding cheesy. With a deeper tone to his voice, Simpson on this track provides a nice and slightly more forceful contrast to Illa’s dazed out and light sounding style. On “Alien Family,” Frank Nitty tells the story of the Yancey boys, talking about their family and history. “Strugglin,'” “Showtime,” and “Swagger” follow, all in various forms expanding on the silky and backroom feel of the soul and jazz overtones of the album. “All Good” utilizes the jazz background to the best extent, with simple drums and a melancholy, repetitive horn sample. “Sounds Like Love,” featuring Debi Nova is the ballad on the album, a poppy R&B cut with hip-hop lyrics and steeped in record static that could surely find its way to an after hours radio show. The album finishes up with “Everytime,” “IllaSoul” and “Air Signs.” “IllaSoul” provides the most moving track on the album, the bass line and spacey synth trills throughout allow Illa to sit back and rap effortlessly. “Air Signs” talks about his family and ends the album on a positive note examining just how much talent exists there. If there is one drawback of this album, it’s that we never get to hear Illa J break out from beyond the chill, soul, jazz, and R&B tinged tracks that make up the entirety of it. With his lyrics and musical knowledge, a track or two that delved more deeply into the harder edges of hip-hop would be welcome, perhaps even a party track. But this shortcoming aside, the lack of these types of songs seems deliberate on the part of Illa. He’s not looking on Yancey Boys to create tracks that find massive radio airplay. He’s set out to create a coherent album, one that you can listen to from start to finish without feeling overwhelmed, allowing you to be absorbed by the mentality of relaxation that exists here. And in this goal, he has succeeded in creating one of the most solid hip-hop albums of the year. Did you miss last month’s tasty audio? Never fear, click here. October’s iPod update is a fantastic affair featuring 79 songs. It had a few older singles that I was recently turned on to, as well as some excellent new music from various genres. As we head towards the end of the year, keep your ears on for some of the huge and blockbuster album that are sure to be coming at us as the holidays approach. Apollo Sunshine, Shall Noise Upon: This is the 3rd offering from Apollo Sunshine, a northeast trio that has made a habit of infusing new indie and rock music with retro themes. The light melodies and easy vocals go hand in hand with melodic and uplifting musical flourishes. Steely guitar in places, harmonized singing, use of woodwinds and basic drum beats can range in style here from unapologetic roadhouse rock songs (“Brotherhood of Death”) to melancholy drifters that border on an old Western soundtrack (“Fog and Shadow.”) But regardless of the style they employ, from top to bottom Apollo Sunshine has crafted an album that feels right on all levels. Don’t Sleep On: “The Funky Chamberlain (Who Begot Who),” “Money,” and “The Mermaid Angeline” which should find its way to a Wes Anderson film at some point. Black Milk, Tronic: Rather than repeat anything about this album here, click this link for the album review. Singles: These songs didn’t get full write-ups as part of an artist or album, but they are excellent singles nonetheless. “Electric Feel” by MGMT, “Please Believe” by Longshot and “Paper Planes (DFA Remix)” by MIA.